It was before Thanksgiving when I decided to put up our Christmas Tree. I'm too excited to install the tree and the decorations as it was already November. In fact, to where I was from we usually put up our Christmas Tree on the first day of November. Kids would love to "help" us every time the parents is doing something. They want to be helpful which is great for it would keep them from helping us with house chores. That day, he did actually put on the balls and oh he is being honest too, he actually broke 3-4 balls and told me that he dropped them. We never finished the decoration that day as the lights the needs to go on the tree is no longer working. Therefore in order to have a smooth way to put up decors we need to install the Christmas light first. That's the good part of kids loving Christmas, they become extra helpful. Chaos is a great helper huh? My kids love doing it too. You have such a cute helper. 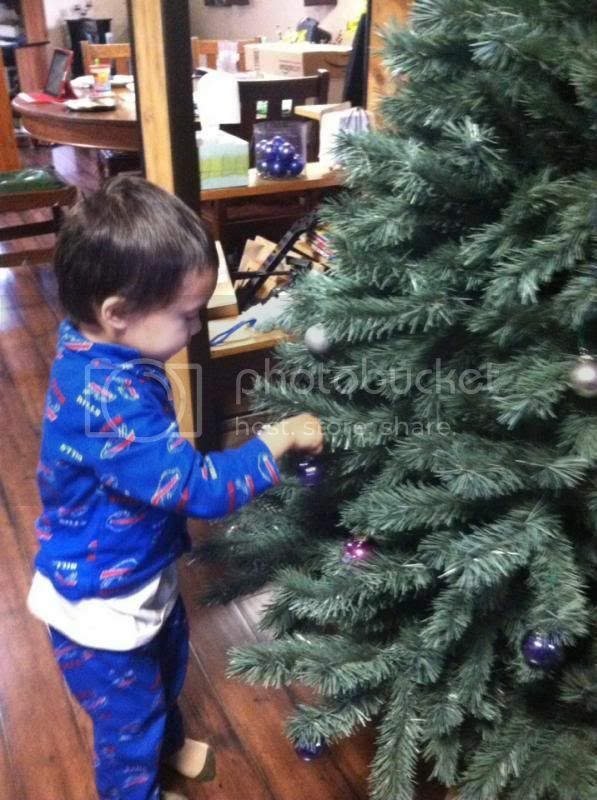 I agree with Ms. Joy, helping out with the tree will create special Christmas memories.